Worldly ways of thinking are brought into a one church religion by Pope Francis! Warning message of God: Verily, nowhere in the Roman Catholic churches is it being told how God thinks about the unnatural, that He is against this. There is now freedom to the full in a one church religion, in which everything goes together and can be and is allowed! Hello, welcome! On October 26th, 2015, a messenger angel of God brought on, word for word, the following message to Prophet Benjamin Cousijnsen. Shalom! I greet you in the wonderful Name of Yeshua HaMashiach, Jesus Christ. Verily, my name is Rasambla, and I am a messenger angel of God. 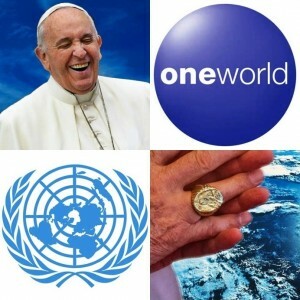 The Pope is used in secret by Obama, the antichrist, in order to adapt the Biblical commandments and to fight against God! The Pope can also do many miracles, and has the knowledge of the fallen angels. Many people allow themselves to be misled by his charms and magic. Verily, in the message from February 6, 2015, titled: ‘Future events revealed to Prophet Benjamin Cousijnsen’, Pope Francis said: “I’m going around, in order to devour the souls and to seize power!” The Pope, who just recently has expressed himself to the cardinals and bishops, claims that one is closing their heart to the care of the ordinary believers, and that one should plead for flexible rules for the Catholic church, as well as for the homosexuals. Verily, nowhere is it being told in the Roman Catholic church, about how God thinks about the unnatural, that He is against this. Freedom to the full is coming now in a one church religion system, of which everything goes together and can be and is allowed! This church must only be concerned about God’s love and forgiveness. One doesn’t want to hear the full truth! Verily, from the world, God must stick to their ways of thinking, and adjust to their sins and Biblical violations! 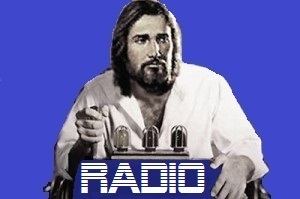 Listen to the messages about Pope Francis in the Evangelical Endtimemachine. Type in the Search bar, for example, the word: ‘pope’, and you will discover the full truth! And if you type the sentence: ‘The truth makes free from the unnatural’, or the word: ‘unnatural’, and then click on Search, then you will find out that the Pope is a tool of satan. And verse 22 But it has happened to them according to the true proverb, “The dog turns to his own vomit again,” and “the sow that has washed to wallowing in the mire”. And 2 Peter 3, verse 11 Therefore since all these things will be destroyed like this, what kind of people ought you to be in holy living and godliness. And 1 John 2, verse 19 They went out from us, but they didn’t belong to us; for if they had belonged to us, they would have continued with us. But they left, that they might be revealed that none of them belong to us. And 1 John 3, verse 24 He who keeps his commandments remains in him, and he in him. By this we know that he remains in us, by the Spirit which he gave us. Verily, Kadosh, Holy is God! Also listen to the message, titled: ‘The Catholic teaching is a great devilish system!’ Verily, even other churches and the EO are working together, and are now forming a world religion more and more!